Andrew Ganz March 2, 2016 Comment Now! 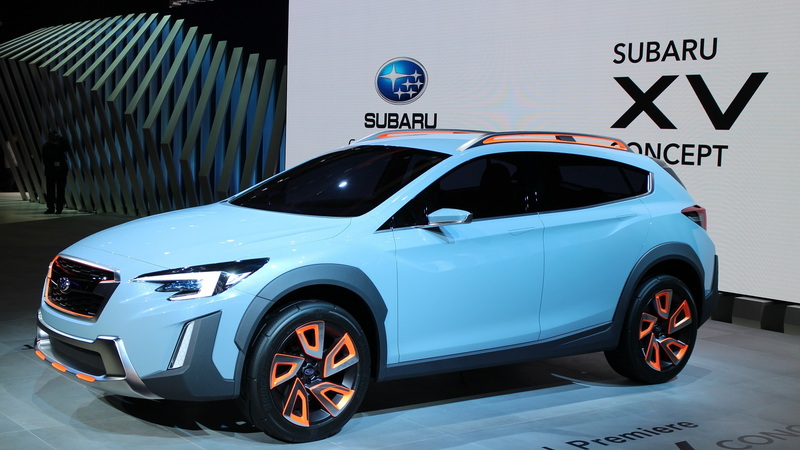 Subaru took to the stage at this week's 2016 Geneva Motor Show with a new concept car that is, by all appearances, a thinly-veiled look at the next-generation Crosstrek five-door, all-wheel-drive crossover. The new model is likely to arrive next year, as a 2018 model. 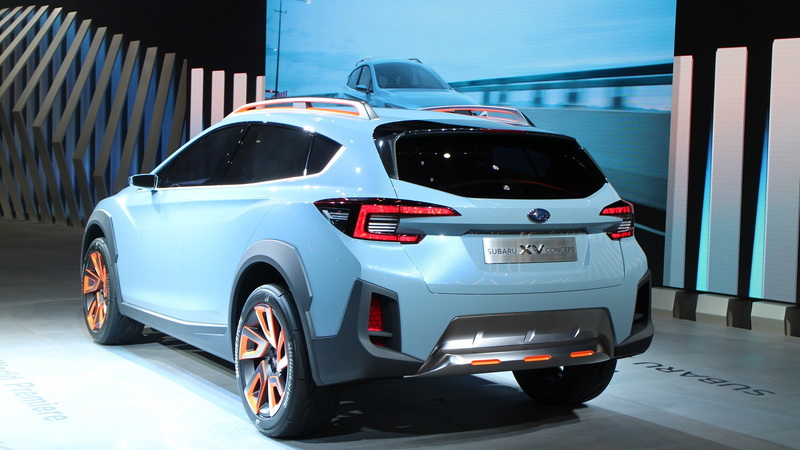 Following in the footsteps of the Impreza hatchback and sedan concepts that Subaru showed off in Tokyo and Los Angeles, the latest concept, dubbed the XV (the name of the Crosstrek in other marketes), clearly draws from its more pedestrian siblings. 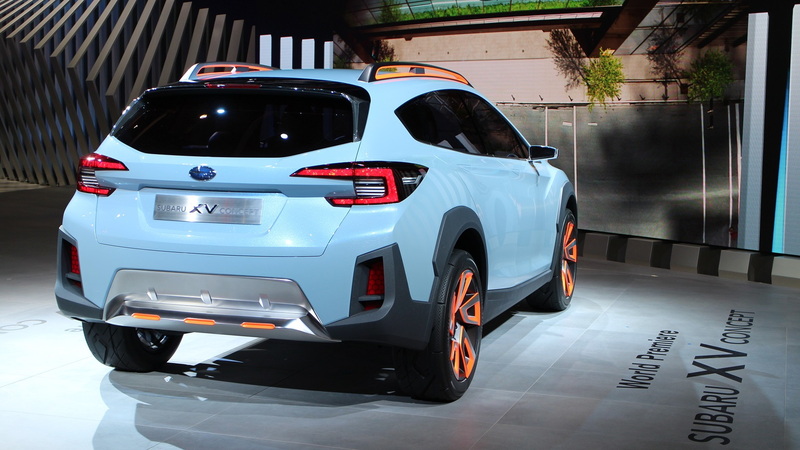 If the concept is anything to go by, the new Crosstrek won't depart substantially from the current model. The concept's most bold new design cues are a more striking belt line and new headlamps that are integrated into the front bumper. The orange accents on the fascia and wheels might only be reserved for the show car, but there's a possibility that they will also make production. 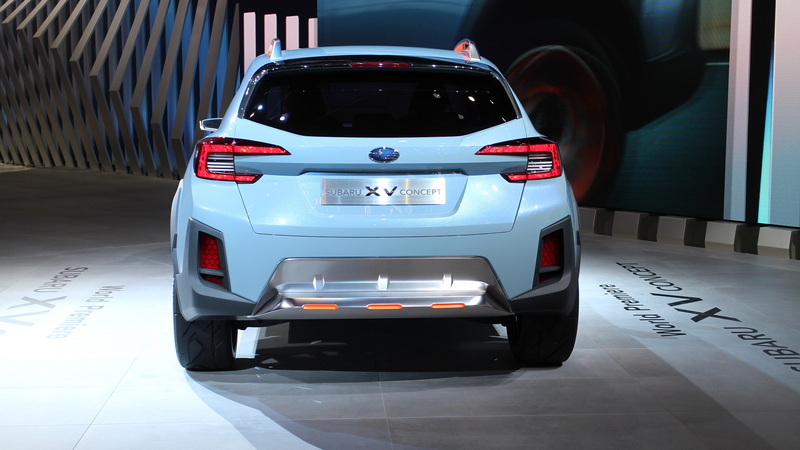 The current Crosstrek was known as the XV Crosstrek for its first few years in the United States. It was modestly updated for 2016 with new wheels and fascias and some interior upgrades, but it has largely remained unchanged since its 2013 model year debut. The model has been a hit for Subaru; last year, sales increased 25 percent to nearly 89,000 units in the U.S., so the new model is highly anticipated. 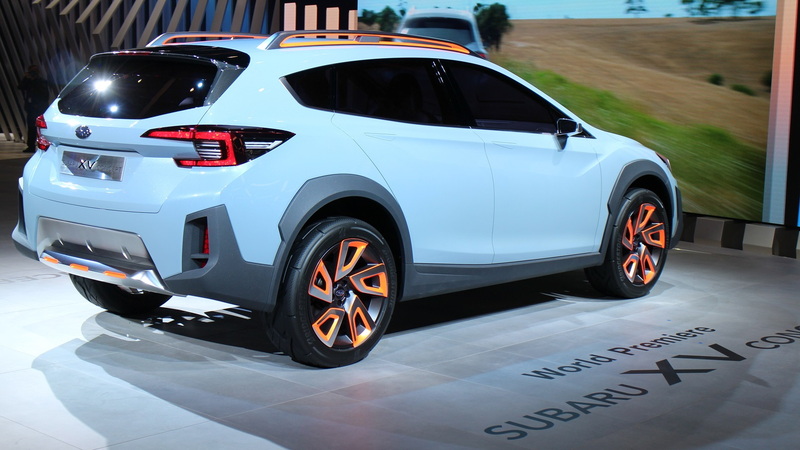 It will be based on the modular platform known as the Subaru Global Platform, whose first application will be the new Impreza arriving at the 2016 New York Auto Show later this month. The platform will eventually underpin all of Subaru’s range apart from the replacement for the BRZ sports car.